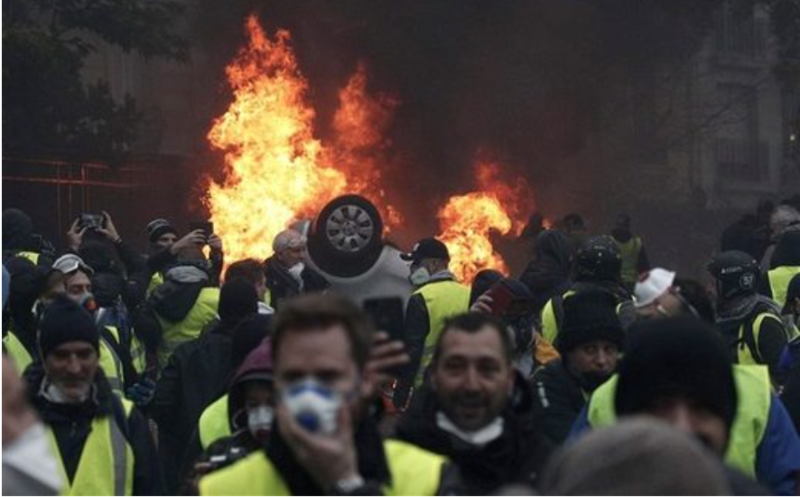 We, the Yellow Vests of roundabouts, car parks, squares, assemblies and demonstrations, have gathered this 26 and 27 January 2019 in an ‘assembly of the assemblies’, uniting a hundred delegations, responding to the Call Of The Yellow Vests of Commercy (see this). Since 17 November, from the smallest village, from the rural world to the largest city, we have risen up against this deeply violent, unjust and unbearable society. We won’t let it happen again! We revolt against high cost of living, insecurity and poverty. We want our loved ones, our families and our children to live in dignity. 26 billionaires own as much as half of humanity. That is unacceptable. Let us share the wealth, and not poverty! Let us put an end to social inequality! We demand the immediate increase in salaries, welfare benefits, allowances and pensions, and the unconditional right to housing and health, education, free public services, for all.